For the exercise folder, rename as "00 vs-primer". Submit to the relevant handin folder after successfully running. When creating your exercise program, name the project "01 GameName1". Modify the program so the output looks like the screenshot below. 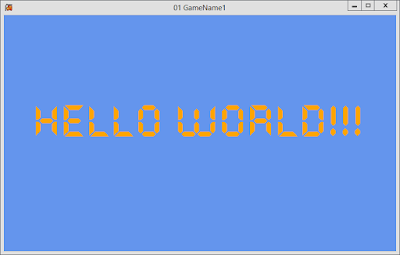 Note that the text, the colour, and the x-position are different than the tutorial. Submit your entire project folder to the relevant handin folder. Note: read the text at the bottom of the exercise carefully to understand the code you have added. If you decide to do this please do not overwrite your previous project files. 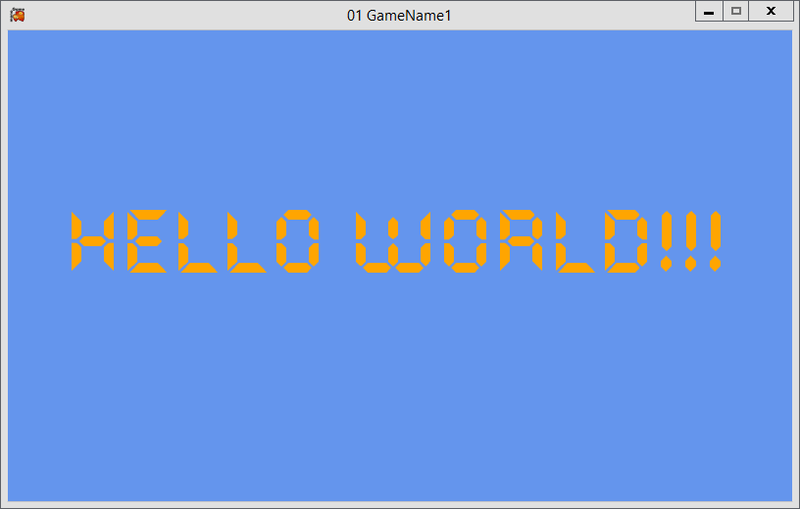 Create as "01 GameName2". This tutorial series is no longer being created due to too many problems the students were experiencing with Visual Studio on our school network. This section is not yet complete. For now, just watch the videos and do the exercise(s) as presented.